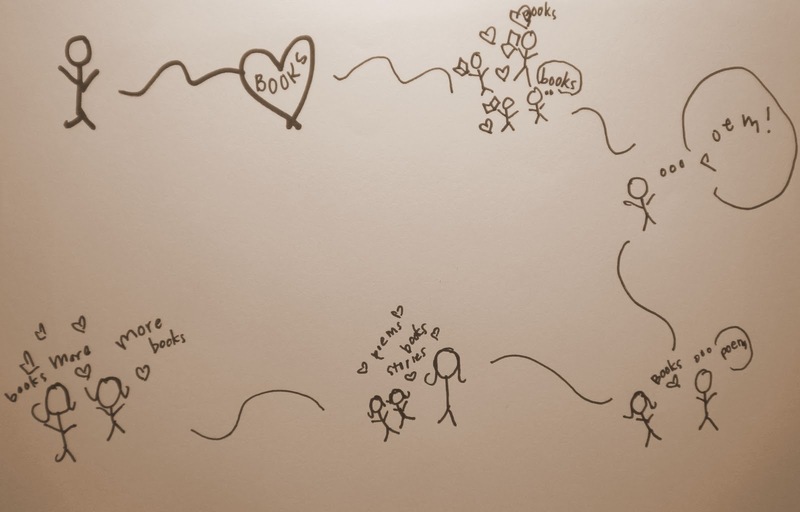 The Books for Walls Project: Has it really only been two months? Has it really only been two months? In just two months we've managed to get to all 7 continents, made friends all over the world, we've been interviewed on Interlochen Public Radio and in the Northern Express, followed the Atlantis up to the International Space Station (click here to read), learned about the library on Antarctica, we've had just about 1,400 visitors and over 5,000 hits --so much more than we could've imagined! To celebrate we'll announce our first contest soon, share the full story of why we picked Garrett Reisman to follow into space (we promise, it's a really good story), this week introduce you to The Poet and a new challenge tomorrow! Have you watched our video? If not, click here to watch! Really Really Really Good Book Challenge, If I Could Live in a Book Challenge, and Yourstory. Last Week's Highlights and links to reviews and more on the books! I just finished Necromancer by Michael Scott (click here for Scott's Website), as always I felt like i was cut short, soooo good and so loong to wait for the next one. the Little Sister, Krista Meister, and the Librarian all agreed on going back to the days of Laura Ingalls Wilder. I read this book last summer and think it would be amazing to be immersed in French culture, society, and food in the 40's/50's. I love that Julia was my age when she made the life changing move to France and discovered her true passion. One of my avocations is photography, really seeing and being aware of all that’s around me. The photo-artist captures beauty (people, nature, and just simply living) all around the globe. To read all of the comments and to add your own @ If I Could Live in a Book, click here! I can't believe its only been two months, it feels like we've been doing the project my whole life, it's so familiar and makes me happy. I am also really really excited because my birthday is in June! I agree with The Big Sister, but my favorite part so far has been making the movie! And my favorite challenge is The Page Turner Challenge --whoopsie, that one's coming soon-- it's really good. Connecting with soul mates has been a treasure --Marika in Antarctica and The Writer (Tracey), right here in Northern Michigan. The Four of Us attended a wedding this past weekend and there on a place card was Tracey Kukla-Aleshire --we giddily searched the crowd for her and we are happy to report she just as lovely in person as in writing! And there is nothing quite like learning more about old friends through the books they love. Learning more about The Teacher, The Poet and The Bean has been the treasure of a lifetime and the youthful wisdom of The Friend and Windcatcher just delightful. And where, oh where, would the project be without Jenn, The Dreamer? Thank you, dear readers, for joining us and helping to make The Books for Walls Project a success! ... and look how far this has grown in two months! What a great idea you had and how you've expressed and nurtured it.